Did you know that some things we put on our skin will get absorbed into our blood stream? If you are pregnant or breast feeding you may want to think twice before applying nail polish, using that hair removal cream or even dying your hair. It is also a good idea to check your regular everyday skincare and cosmetic product ingredients to ensure they contain no nasty ingredients that could potentially be harmful to your growing or breast fed baby. In this blog pot we will list some ingredients to steer clear from that can be found in beauty products. We will also share some products we have found that are free from all the above nasty ingredients and safe to use by pregnant and breast feeding women. Mainly found in prescription acne and anti-aging medications but sometimes can be found in anti aging creams. Could also be listed as Differin (adapelene), Retin-A, Renova (tretinoin), Retinoic acid, Retinol, Retinyl linoleate, Retinyl palmitate, Tazorac or avage (Tazarotene). Best to avoid while pregnant or breast feeding. 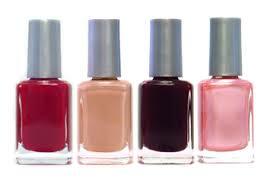 Also listed as BzBP, DBP, DEP, DMP, or diethyl, dibutyl, or benzylbutyl phthalate which can be found in nail polish and perfume. Could be found in nail polish and these are considered a toxic combo that should be avoided especially if you are pregnant. Found in hair dye products. Found in some self tanning or spray products. Which can be present in hair removal products. Dr Roebuck's skincare products are a complete skincare range that really work. Minimum ingredients that give maximum results. Created by a doctor, specifically formulated plus safe for pregnant and breast feeding women to use. Wotnot and Little Innoscents Sunscreen can be used by pregnant and breast feeding women and also on babies from 6 months old. Little innocents paw paw balm is great for any kind of cut or rash and also makes a great lip balm. Safe for pregnant, breast feeding women and also great for baby’s bum as a nappy rash cream or barrier layer. Eco store hand wash is an eco friendly anti bacterial hand wash that is safe to use for pregnant women and breastfeeding women. GAIA Pure Pregnancy Belly Butter cream has been tried and tested by many pregnant women and they all raved that they did not get any stretch marks! Gaia Belly Butter will leave your ‘baby bump’ soft and supple. It can also be used on breasts too. In this post we have outlined a few products such as nail polish, tanning lotions and hair dye that may contain some of the nasty ingredients we talked about. We recommend to always check the ingredients label of the products you use if you are pregnant or breast feeding just to make sure there are no nasties in there that could be potentially harmful for your baby. We would love to hear your thoughts on this topic. If you know of any other potentially harmful ingredients that probably shouldn’t be used by pregnant women or breastfeeding women we would love to hear from you. Spring is in the air! In our next blog post we will outline how to spruce up, clean up and get your house in order this spring (or any other time of year).